‘e’ in the word ‘diet.’ The shelter ads I’ve seen feature huge orange posters blasting out the four-letter word minus, of course, the letter e.
I know advertising is desperately trying to break through the clutter and capture the average consumer’s attention, but gimme a break. Obfuscation isn’t the solution. In fact, confusing me doesn’t ‘involve’ me more in the advertisement, or make some sort of visceral connection. It only pisses me off. I’m not a Weight Watcher’s candidate but, if I were, this particular campaign would drive me straight into the waiting (weighting?) arms of, say, Valerie Bertinelli or Kirstie Alley. 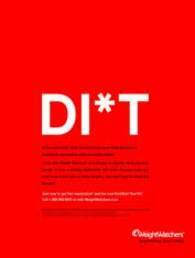 This is a DU*B ad, Weight Watchers. Lo*e it, pronto! 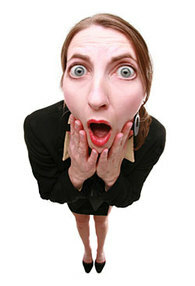 A recent blog elicited a host of negative, libelous and profane comments that have been deleted. 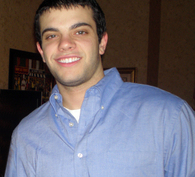 Repman is a blog that encourages a reasoned, professional discourse on a wide variety of topics related to image and reputation. That said, we will delete any and all future comments that are ill-spirited, profane and/or libelous. It’s easy to see why career opportunities are less than ideal for travel agents and tollbooth attendants. Technology is literally wiping both off the face of the earth. But, when it comes to ‘other worldly’ matters, who would have guessed that priests may become an endangered species? A new survey by Milan’s Catholic University revealed 60 percent of Italian Catholics no longer go to confession. Thirty percent see no need for an ‘intermediary’ and another 20 percent feel uncomfortable with the priests’ role as middleman between the sinner and God. The Milan survey comes as no surprise. 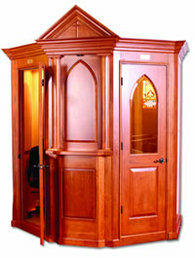 After decades of scandals involving the priesthood, why should anyone feel comfortable opening up in a confessional? In fact, ‘confession-avoidance’ is a classic cause-and-effect of the Church’s poor image and reputation. But, with the confessional becoming less and less popular, I wonder how priests will spend their free time? Maybe the Garden State Parkway Authority is still accepting resumes for their few remaining tollbooth attendant openings? 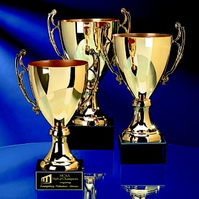 CLS and Cone, a few large firms totally dominate every awards category of every awards competition every year. It’s embarrassing and absurd at the same time. Big firms have the resources, time and wherewithal to submit 70, 80 or more programs to every competition. 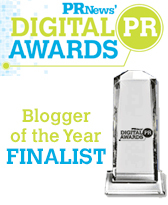 How difficult is it to be a finalist in a given category when 60 percent of the submissions come from the same agency? One would think the cash-strapped publications sponsoring these industry love-ins would figure out how innately unfair they are and, dare I suggest it, hold two awards competitions: one for the T Rex’s of the industry, and another for the rest of us. The big guys would still rake in their usual quota of 15 or more trophies per show. The independent firms would finally be competing on a level playing field. And, the media properties would pocket more cash. So, what’s the delay? Oh, and the winner of that particular award was, believe it or not, Golin Harris. Would journalists do the same for us? step up to the plate and provide financial support to The Committee to Protect Journalists. The committee, which tracks harassment of journalists worldwide, reports that at least 65 journalists were killed around the world in 2007 because of their work. Trufelman says "…there would be no such thing as PR without journalism." He also thinks "…PR needs to show greater interest in journalists as dedicated professionals and not just vehicles for pitches." With all due apologies to the family and friends of slain journalists, give me a break. Does Trufelman not read the various and sundry bashings of the PR industry by the media? Does he not see the journalism-PR relationship as a mutually beneficial one? Would journalists ever contribute money to a ‘Committee to Protect PR People’ who might also work in high-risk zones? (I’m joking, btw). Last, but not least, is Trufelman’s plea not akin to slapping a PBA sticker on one’s car windshield to avoid paying speeding tickets? Me thinks he’s sucking up big time to the working press. 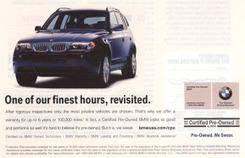 The copy’s obvious intent is to emphasize that a pre-owned BMW is still a great automobile, which it very well may be. Whether it’s ignorance or insensitivity, the BMW ad is an unnecessary image and reputation gaffe that should be rectified faster than a Nazi Panzer tank blitzkrieging its way through France in June of 1940. Sadly, the ad copy is just another example of today’s generation having absolutely no sense of what went before. Chris was one of 13 comedians who, like me, had trained at the most excellent American Comedy Institute. The comedy course is very cool and attracts people from all walks of life. In addition to Chris, there was a Boston cop, a Swedish newscaster (very hot) and a ‘fat, white 50-year-old divorced guy from Connecticut,’ who was very funny. The course spans four sessions, and teaches the basics of timing, content and delivery. A professional comedian works with each student to create a five minute routine, which is then performed in front of a live audience. Chris was the 11th of 13 comics to perform, and I could tell the nervous anticipation was eating him up. But, when he finally did stride up to the microphone, he rocked. Performing stand-up is an amazing experience. And, it has immediate and obvious implications for the business world (I.e. After performing your own comedy routine in front of strangers, a new business pitch is like a walk in the park). One other thing: having the guts to do stand-up at the age of 22 amazes me. I know I couldn’t have done it then. But, then I’m not Repman, Jr., either. Well done, Chris.